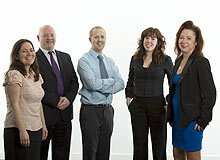 Twin Group is very proud of its achievements. We have grown considerably since we first opened in 1993 and although we are proud of our past accomplishments we have our eyes set firmly on the future. 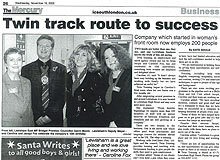 Twin Business Training was founded and shortly after won its first government contract training unemployed local residents in business skills. The company was relaunched and rebranded as Twin Training International, offering business and employability training as well as English language courses and internships. 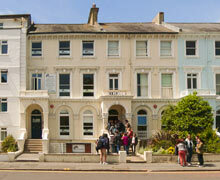 Twin English Centre London opened in a small building in London offering general English language courses. The school soon expanded into new premises in Lewisham High Street to cater to the high demand for courses, ranging from English to specialist subjects. 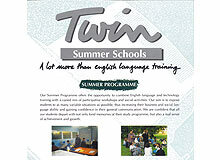 Twin began offering special summer programmes for juniors and international students at St. Dunstan’s College. Twin Summer Centres now provides English courses, football and tennis coaching at some of the best centres in the UK and USA to juniors aged 12-18. 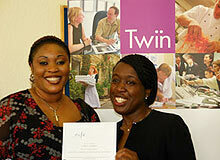 Twin won its first contract with the Department of Work and Pensions, the Basic Employability programme. 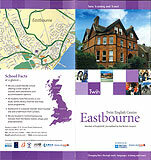 Twin Group achieved Investor in People accreditation and also acquired Eastbourne, Salisbury and Oxford English centres – Twin was now offering English language courses across four centres, plus six summer centres: St Dunstan’s, Colchester, Portsmouth, Saffron Walden, Guildford and Haywards Heath. Twin Group celebrated its 10-year anniversary. Twin also bought Anglo Training, a company specialised in paid work experience placements in the hospitality industry to international students. 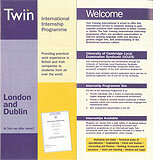 This became WorkUK (now Twin Work Experience) a division of Twin Training International. Twin Group won its first Leonardo da Vinci contract as a sending organisation, organising EU-funded internships in Europe. 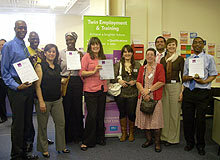 Twin also opened year-round centres delivering welfare-to-work training programmes in Kingston, Woolwich and Croydon. In the same year, Twin took part in a JMA pilot, working with more than 7000 students. Twin relaunched its government division as Twin Employment & Training (TE&T) and created its own dedicated recruitment team to deliver employability services to jobseekers. In the same year, TE&T’s ‘Community Languages in the Classroom’ programme was recognised as ‘Most Inspirational’ by the London Development Agency. New Twin Work Experience programmes were added to the existing range in order to cater to the growing demands of international students wanting work experience placements and internships. Twin Group expanded onto the third floor of its head office building in Lewisham and invested in refurbishing it as the new home of Twin Employment & Training. The Twin Vacation Courses division was renamed Twin Summer Centres and a dedicated team was formed to operate the division. 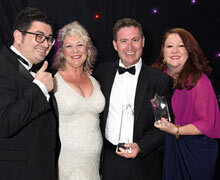 In 2008, 2009 and 2010 - Twin Group was awarded Language Travel Magazine’s Star Award for Work Experience Provider of the year. This is an important recognition by international educational partners, which proves Twin’s commitment to providing excellence in work experience placements for international graduates and undergraduates. Twin Employment & Training was recognised as the most successful provider in the UK of the JMA programme for the Department of Work & Pensions (DWP) – with 98% learner employment. Twin Training International opened an office in Shanghai, China. Twin Employment & Training opened new delivery centres in Barking & Dagenham borough - providing an ESF-funded welfare-to-work employability programme – and in Bromley, delivering the ‘Finding and Getting a Job’ programme under the Jobcentre Plus Support contract, among others. Twin Group opened Twin International Study Centres (ISC) and launched a University Foundation Programme for overseas students. Twin ISC also facilitated progression partnerships with further universities: London School of Economics, Durham, York, Cardiff, Reading, Brighton, Goldsmiths and the University of London. 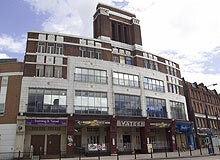 Twin Group redeveloped the ground floor of its head office, the historic art deco Tower House, in Lewisham. 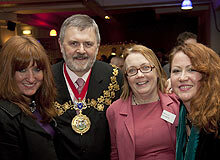 It was officially opened by Bridget Prentice, MP for Lewisham East, and Sir Steve Bullock, Mayor of Lewisham at a launch party. 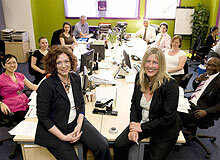 Twin Zone is regularly used for training, business events and social programmes, by partners, students and staff. Twin Employment & Training was nominated a Finalist in the South London Business Awards as the 'Best Company for Training and Development'. 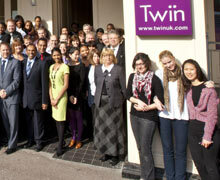 In summer 2010, Twin Summer Centres ran seven centres in the UK, and, for the first time, one centre in the USA. 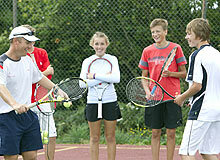 Twin Summer Centres also formed a partnership with Serviceline to offer English plus Tennis. 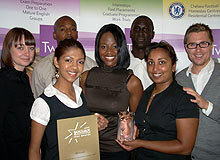 Twin Summer Centres were accredited by the British Council and shortlisted for the 2010 LTM Star Junior Course for under 18s Award. Twin International Study Centres expanded their range of academic programmes to include the CTH Advanced Diploma in Hotel Management, a College Year and the Graduate Career Development Programme. Twin ISC also partnered with Leeds Trinity University College and St Dunstan’s College to provide pre-university and pre-Master’s courses. Twin Employment & Training became the top performer in the South London region of the New Deal 'Gateway to Work' programme for 18-24 year olds on behalf of the DWP. Twin English school retains a highly trusted status. Twin Work & Volunteer is thriving and offering more responsible travel programmes than ever before. Twin Employment & Training is a prime provider for the DWP and is successfully creating more career opportunities. Twin became the thirteenth company to acheive the Superstar status after winning two more Study Travel Star Awards from the Study Group Magazine in 2013 & 2014. We moved our head office and London school to our newly opened state-of-the-art Greenwich Centre. 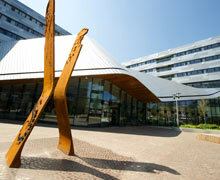 The building features a modern library, a bright cafe, a stylish gym and two swimming pools. Twin Employment & Training experienced its significant expansion, winning over a total of five government contracts within the year to allow us to help more people prepare for work. Three of the five are prime contracts, making this a grand milestone for Twin and its associates. We opened up our Eastbourne school and expanded our summer centres to three locations including Chichester, Leeds and Blackheath.